Unlike those unidentifiable former food items lurking in the back of your fridge, wine can actually improve as it gets older. Humans have known about the potential of aged wines for millennia; in ancient Rome the cult wine of the day was a sweet white wine called Falernian which could be aged for decades much like a modern Chateau d’Yquem (1). The wine was kept in sealed clay amphorae, allowing significant oxidation to occur which turned the wine a deep golden brown colour. Roman amphorae from Chalon-Sur-Saône in the Côte Chalonnaise which was an important wine trading centre. Image source: Ad Meskens via Wikipedia. In 17th century Europe ageing wine was also in vogue. By the end of the century, wine lovers had come up with two innovations which were to transform the world – the glass wine bottle and the rise of the oh-so humble but indispensable cork stopper. Developments in glassmaking techniques enabled the production of tougher, thicker glass which could survive transportation. These glass bottles also had fairly uniform openings, meaning that corks could be made to fit snugly into the mouth of the bottle. Now wines could be stored and aged in a nearly air-tight environment which would allow the wine to continue to develop and mature over time. These improvements contributed to the success of fortified wines like Port and Sherry, and aged Claret, with the English acquiring a voracious appetite for these intense wines which would soften when kept in the bottle for several years. So how does ageing improve wine? Ageing in the bottle helps to alter the form of the tannins in wine, making them seem less astringent. This happens thanks to a process called polymerization; over time the typical short tannin molecules found in young wine link up to form longer molecule chains. These longer tannin molecules are perceived on the palate as less bitter than the tannins in young wine. Aged wine is thus often described as softer or rounder compared with its younger siblings (for example, a bottle of top quality red Bordeaux which has seen significant ageing may well be a lot easier on the palate than a young wine from the same producer). Ageing in the bottle can also add additional complexity as tertiary or “bouquet” aromas develop in the wine over time. Fruit flavours in the wine tend to become more like dried or stewed fruit, and aromas like leather, mushroom, leaves, roasted nuts, coffee, and dark chocolate can appear as the wine matures. Oh, and don’t forget that wine is also aged in oak. Often the idea with this winemaking process is to extract flavors from the barrel to subtly change the taste and aromas of the wine. Oak typically imparts flavours like vanilla, sweet spices, and sometimes a smoky note if the barrel was charred while it was being made. Ageing in oak also helps to soften the wine by reducing the astringency of the tannins. Fine wines are often first aged in oak for a significant period of time (12 months or more) before undergoing further maturation in the bottle. You know that ten buck chuck you grabbed at your local Target some months back? Drink it. Stop whatever you’re doing and drink it. It’s only gonna get worse. The vast majority of wine being made today (some 90-90%, depending on who you ask) is designed to be drunk young. This is especially true for most white wines which can begin to deteriorate as little as a year after bottling, while reds should generally be drunk before their 5th birthday. Simple, vibrant reds and whites will lose their bright, fruity character over time, while a wine that has high, unbalanced alcohol will seem even hotter as the fruit flavours fade. 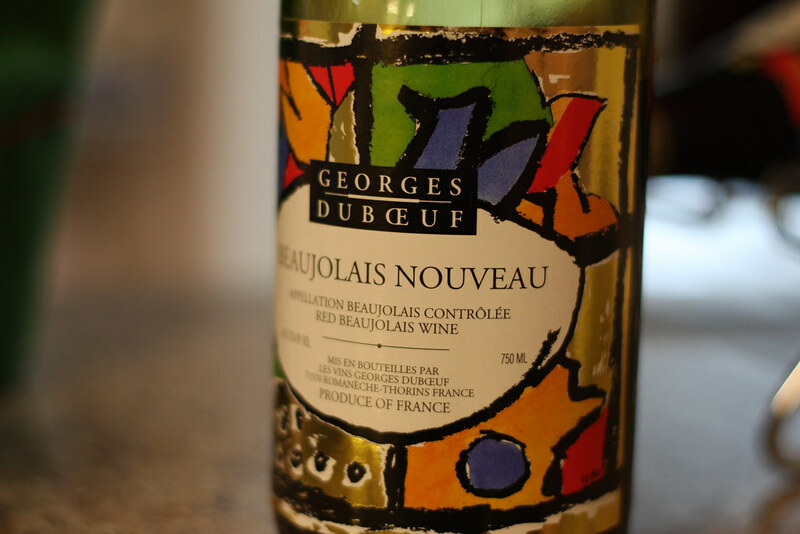 A youthful bottle from “the King “of Beaujolais, Georges Duboeuf. Image source: Chris Kelly via flickr. So which are the keepers? Let’s start with whites. A great option for your cellar is a good quality German Riesling. Those from colder regions like the Mosel Valley are typically austere in their youth and really benefit from a decade or two of bottle ageing to soften and mature. Over time, these Rieslings often develop a distinctive petrol aroma which people either love or hate. Another white contender is Australian Semillon, such as that produced in the Hunter Valley, as well as white Bordeaux (typically a blend of Sauvignon Blanc and good ole Semillon) and white Burgundy. White wines from these areas which display balance, complexity, good structure, high acidity and concentrated fruit flavours have great potential to mature into something absolutely sublime. This is also the case with exceptional sweet whites like Sauternes and Tokaji which can continue to improve and mature a century after bottling! Gorgeous golden Sauternes ageing in bottles. White wines develop a deeper colour after significant ageing. Image source: Frederic Potet via flickr. For the reds, a general rule of thumb is to opt for reds which are high in tannins like Shiraz/Syrah, Cabernet Sauvignon, Nebbiolo, and so on. Tannic reds can really benefit from bottle ageing; over time those tannins soften and the wine becomes more balanced and drinkable. The classic example is red Bordeaux from the Cabernet Sauvignon-dominated Left Bank which tend to display astringent tannins thanks to the difficult climate. Premier Cru wines from this hallowed region can thrive on 20+ years in bottle, whereas most of the less prestigious wines would do well with a decade or so. Top quality Barolos and Chianti Classico are another great pick because of their typical intensity, plucky tannins and high acidity. Ageing wines yourself can be a source of great pleasure. In Europe it’s a common tradition to purchase some top quality age-worthy wine when a child is born. The idea is he or she will open the wine when they turn 21. It’s also a great idea for a wedding gift – something the couple can open on their 25th anniversary (if they make it that long! And if they don’t, at least one of them can use it to drown their sorrows. That’s a win-win, right?). What’s your favourite aged wine? Let us know in the comments! And if you’ve enjoyed the read, why not join us here at The Wine Culturist by simply clicking the follow button in the sidebar… We always love making new winelover friends! Very interesting! Could have been further fleshed out with discussion of cellaring, cork quality and winemaker intent. Thanks for your comment! Luckily this is just part 1, so stay tuned for part 2 where I plan to discuss these and much more! As for cellaring, you might be interested in this post on wine storage: https://wineculturist.net/2016/05/18/sleeping-wines-lie/ Feel free to let me know if you have any other suggestions of what to include in Wine Ageing Part 2! Thanks for stopping by. Oh no, I’m far too much a novice to have a favorite wine. I tend to prefer dryer wines and do not enjoy sweeter ones. That’s about as far as I can go on that. But I thoroughly enjoyed all this information. Thank you. Thanks so much Kathryn! 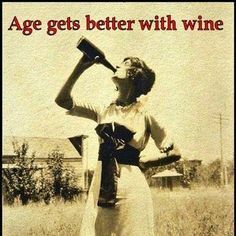 You just need to drink more wine (in moderation of course)! Always happy to meet a fellow wine lover, thanks for stopping by. The wines that you buy in the supermarket are generally “ready to drink now” but what if you were to seek out wines from independent, perhaps smaller producers? The is often confusion about whether your wine purchase will benefit from cellaring – whether it will improve or deteriate. This is a great guide to which wines are likely to improve with age and those which are more vibrant in their youth.